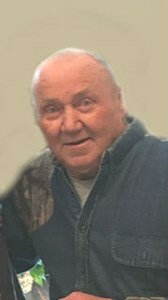 Dean Peitersen, 76, of Oconto Falls, beloved husband of 57 years to Diane (Grenke) Peitersen, departed this life peacefully on Saturday, February 2, 2019 after a courageous battle with cancer. Dean was born on February 14, 1942 to Ervin Sr. and Eleanor (Rhode) in Oconto Falls, WI. He grew up on his family farm in the town of Morgan where his love of farming was kindled. After graduating from Oconto Falls High School in 1960 he began his plumbing career which would last 51 years. Dean and Diane owned and operated United Plumbing & Heating from 1974 up until 2011. At this time they sold the plumbing business to his son, David and daughter-in-law, Lisa. Dean continued to work part-time as his health and time permitted. Dean was an avid outdoorsman who loved to shoot trap, hunt, fish and adventure out West to fulfill his passion. He lived for the days of cutting, raking and baling hay with his family. After a long hot summer day you would find him seated on his porch with a cold beer in hand admiring the fruits of his labor. He loved his Harleys and touring with his wife, family and friends. Dean’s never-ending attraction to motors was evident in so many ways - from riding or repairing old cars, snowmobiles, ATV’s, lawnmowers, chainsaws, tractors and golf carts. We all knew that if it was broke, Dean could fix it! Camping, country music festivals and making wood were also favorite pastimes. Dean is survived by his loving wife, Diane and children, David (Lisa) Peitersen and Danna (Duane) Magnin along with four very special granddaughters: Stephanie and Hailey Peitersen and Ally and Emmie Magnin. He is also further survived by one brother, Ervin “Bob” (Joan) Peitersen, one sister, Cheryl (Pat) Kelly and one brother-in-law, Roger (Dawn) Grenke, along with many nieces and nephews. Dean was preceded in death by his parents and in-laws, Julius and Lillian Grenke. Memorial visitation will be held on Saturday, February 9, 2019 from 9:30am - 12:30pm with a memorial service to follow at Grace Lutheran Church, 501 S. Main Street, Oconto Falls. The Peitersen family would like to express their deep gratitude to the staff of Green Bay Oncology with special thanks for Dr. Michael Volk and Dr. Ruth Warren for their loving care, the entire staff of Heartland Hospice, and the many special friends and neighbors who showed their love and support throughout this difficult time. Add your memories to the guest book of Dean Peitersen. My deepest sympathy to all of you for the loss of such a great man. I'm sending hugs and love to all of you as you mourn the loss of Dean. What a great man with a zest for life. Always made me laugh and was sincere as well. I'll never forget him. You all hold a special place in my heart. Wish I could be with you there today. Cherish all the wonderful and great memories of him. God grant you all peace and comfort in knowing he is free of pain and suffering. Sure wish I would have know Dean better. I truly enjoyed our little chats when he came over to repair our furnace & plumbing problems. Such a good, good man. May God Bless y’all as you grieve such a well-loved good man ~ ~ ???? Sorry to learn of your father-in-law and Dave your fathers passing. It’s always hard to lose those you care and love, the memories do help, so try to keep those close to you often. Bill and I are in Texas visiting our grandchildren son and daughter-in-law. Give my sympathy’s to your mom/mother-in-law. To the man who taught me more than anyone else....I thank you for being you. There wasn't anything Dean-O couldn't do or fix or anyone he couldn't talk to, lend a hand to or give a little razzing to. He didn't leave you much choice but to "Swing with the King" with him when it was that time of the day and anyone who spent any time with him always came away with a bit more knowledge than they had before, including a good joke or two! His sincerity, kindness, work ethic, knowledge and drive to live life to its fullest is the way I will always remember him and he will never be forgotten. Diane, Dave, Danna and families, I am so sorry for your loss of such a great husband, father and grandfather. I hope that ALL the happy memories, which I'm sure there are a billion, carry you through this time of sadness and heartache. All my thoughts are with you..... Dudley. I knew Dean and Diane many years ago. Wonderful, caring people. Diane and family you have my deepest sympathy. So sorry for your loss, Dean's wit, and his skills will be greatly missed. I have so many wonderful memories of Dean! Please know that our thoughts and prayers are with you all. Dean will be truly missed by all! We will always have fond memories of Dean, we adopted his whole family after we met them over 25 years ago. Coming down to Florida was always an exciting time to get together with Dean & Diane. We will cherish all the good times we spent and we send our condolences to his family, letting them know how much their father & grandfather was loved by us. He will be missed!! All Our Love & Prayes Goes Out To You!! So many memories at White Potato Lake.... our condolences to all of you from Francis Creek!